Seema Srivastava is an artist, an art enthusiast and an illustrator. 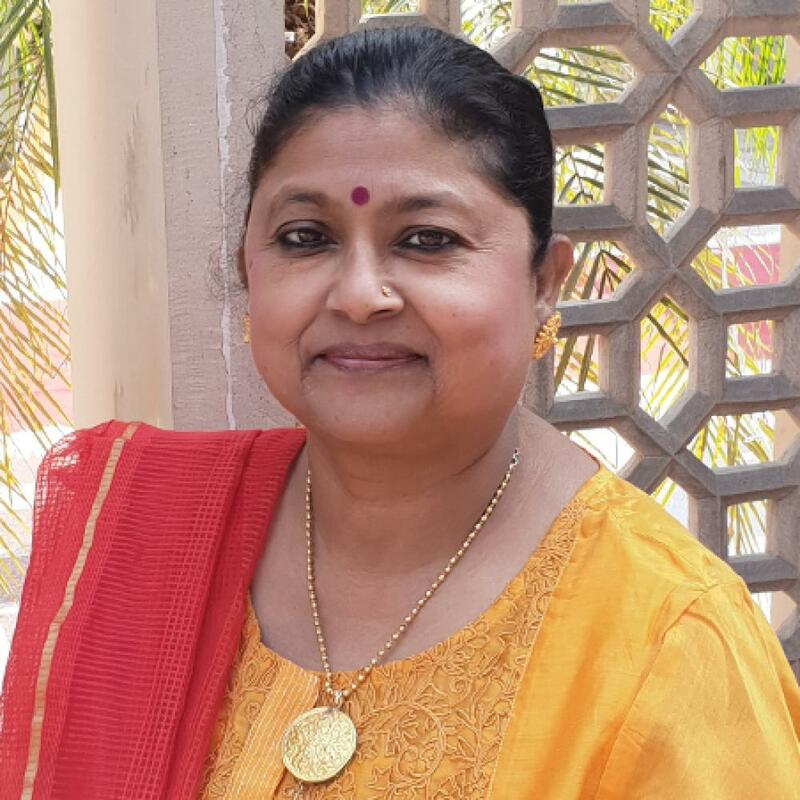 With over 30 years of experience, she regularly conducts heritage walks, museum visits, and craft experiences for art and culture enthusiasts. Some of her honourable guests have been the Prime Minister of New Zealand and the Directors, SFMOMA and Director, Philadelphia Museum of Art, and Owner & President of McDonalds, USA, to mention a few. She has wide experience in teaching art history and design-related courses. And regularly holds lecture series on Indian art and architecture for winterim students and faculty visiting India as part of credit programmes from Rutgers University, William College of Business, Xavier University, University of Iowa, USA and Virginia Commonwealth University, Doha, Qatar. She is also a freelance artist and illustrator, involved in conceptualising and designing advertisements, books, magazines, calendars, brochures, etc. With her wide knowledge and experience in Indian art and architecture, she makes for the perfect host for your journey. Welcome to India’s Maximum City - Mumbai. Get an introduction and insights on the upcoming tour during a briefing session with Seema Srivastava, our tour expert, post dinner. Embark on your journey with the Bollywood-inspired “Mumbai Dream” tour. Experience the iconic Bollywood dance, followed by a visit to a TV/film/ad film set to watch a live shoot and ending at a recording studio for a lesson on sound recording. Later, visit the Prince of Wales museum and in the evening, enjoy a heritage walk at the iconic Taj Hotel. Fly down to Kolkata and take the afternoon heritage tour, which is centred around the Dalhousie Square. Later, enjoy a short ride on the iconic Kolkata Tram. In the morning, visit Victoria Memorial and afterwards, fly to Varanasi. Experience the ethereal evening “aarti ceremony” on the ghats of the Ganga river, followed by dinner (vegetarian) at a local restaurant. Witness a serene sunrise on the Ganges as you step out for an early morning visit to an "akhara" to watch traditional wrestling – an ancient sport which still finds its way in the narrow lanes of Varanasi. Later, fly to the next destination – Agra and experience the spectacular "Mohabbat the Taj" show. In the morning, visit the iconic monument of love Taj Mahal, built by Shah Jahan for his favourite wife Mumtaz; followed by Agra Fort, one of the finest Mughal forts in the country; and the lesser-known Chini Ka Rauza, the Persian-style riverside tomb of Shah Jahan’s chief minister. In the morning, drive down to Delhi, approximately 4.5 hours away. In the evening, meet an artist at his studio over tea and snacks. 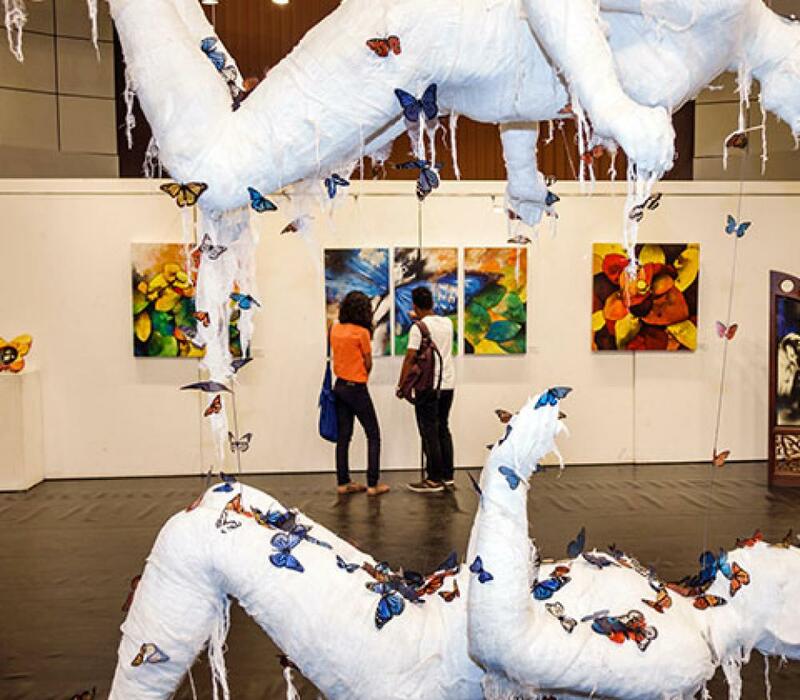 Spend your day at the Delhi Art Fair, South Asia’s leading platform for modern and contemporary art, followed by a visit to the National Museum. Spend the day exploring the city, starting with a rickshaw ride through the lanes of Old Delhi, where you visit the Jama Mosque; drive past Central Delhi and later, visit the Gandhi Smriti, Humayun’s Tomb and Dilli Haat.